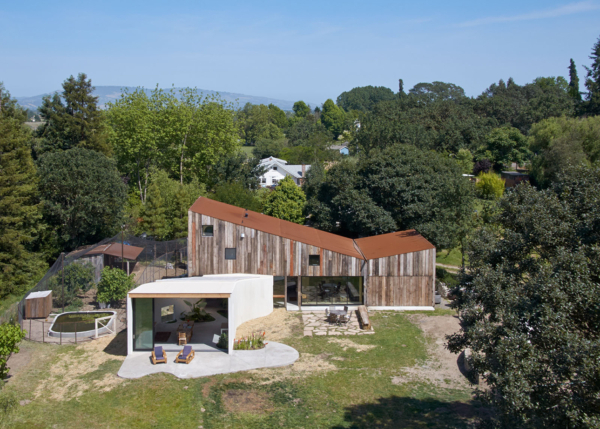 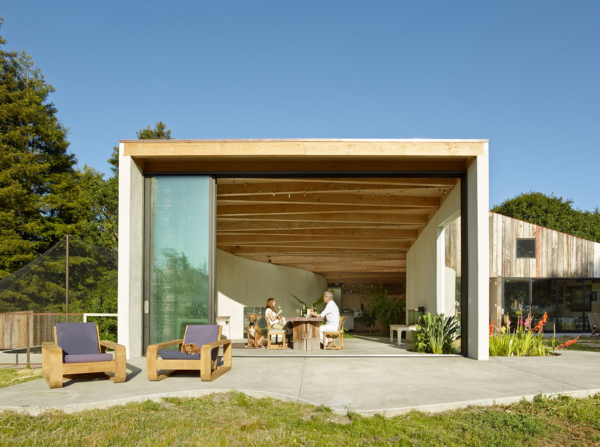 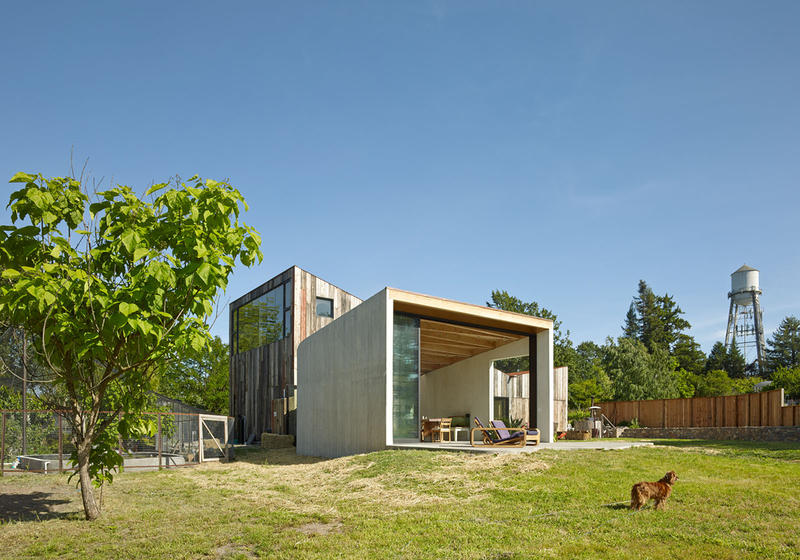 Converted from a derelict wooden barn on a rural property in Sebastopol, California, Meier Road House is a complex of structures consist of a 230sqm artist’s studio, office, and storage building. 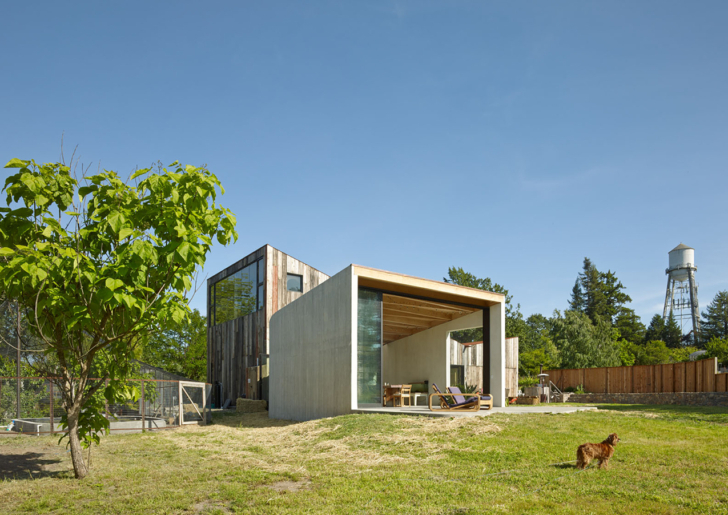 The inverted pitch roof creates sweeping double height spaces for art production and storage, while providing natural ventilation, natural light, and views out toward the surrounding. 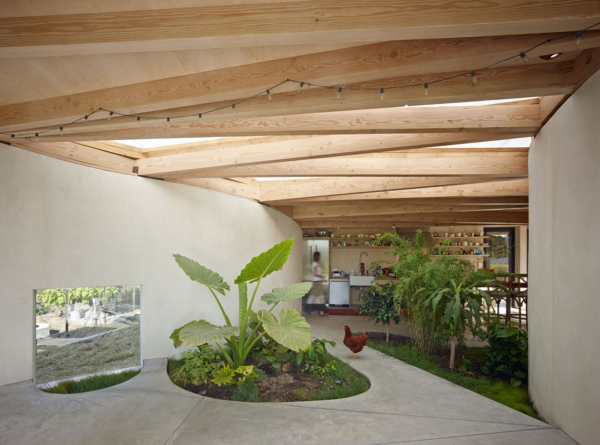 The roof is an exposed wood, scissor-beam roof construction with a large, diffuse skylight that brings light into the center of the building for people and plants. 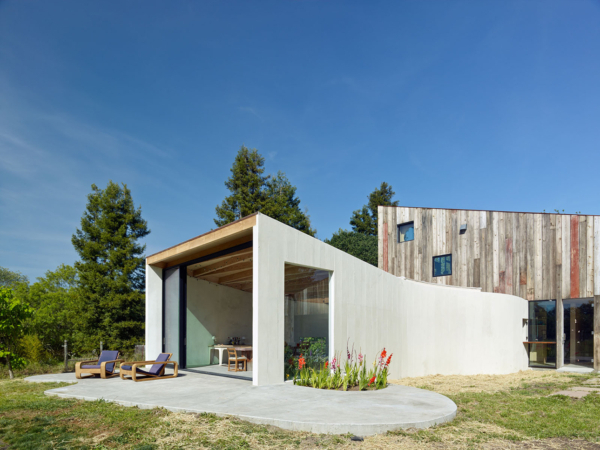 A 720 sf concrete kitchen and dining space grows out from the studio. 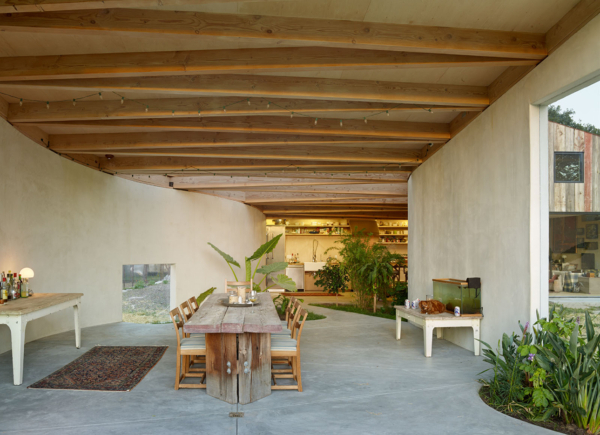 Nicknamed the “Amoeba,” it reaches toward the landscape and literally captures it to create a lush interior garden that softly separates the kitchen from the dining area.